Welcome to my fashion blog and design site. I'm just your typical Boston girl who brunches in Beacon Hill and curses in Southie. 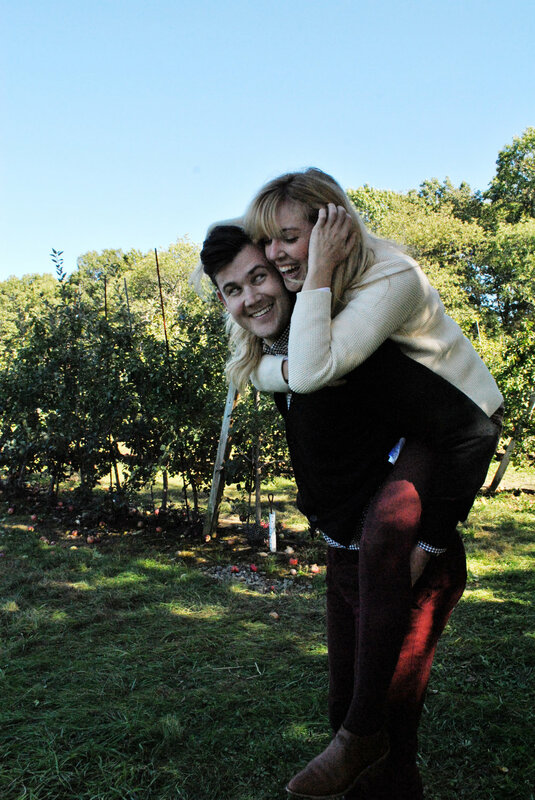 You know you're from New England when you schedule your apple picking date. And I guess you know you have an official boyfriend when you drag him to go apple picking as well (even worse when you date a blogger and you can't just walk hand-in-hand, it's hand-in-camera-in-hand.) He's so sweet though! His name is Stephen, he loves fashion more than I do (is that possible? ), photography, and apples— it was a good day. J. McLaughlin mock turtleneck, and these Perverse Sunglasses. Looking up to pick apples, towards the sun is a challenge, and these sunglasses passed the test. Also, love the name of these sunnies, Perverse, what a.... wait for it... "bad apple." Lol never going to stop. So far I've made an apple-pumpkin-chicken dish and an apple lemongrass ginger dish (with grapes and other citruses). I've only done savory items, but I'm having a party soon in the new apartment, so guests, be prepared for everything apple! Speaking of the apartment.... It's ALMOST there. Decorating is so expensive, and I feel I've done nothing so far lol! ^ This reminds me of that scene in Trainwreck: Look at us... why has no one mugged us? Get updates on my blog. Get updates on my blog posts.